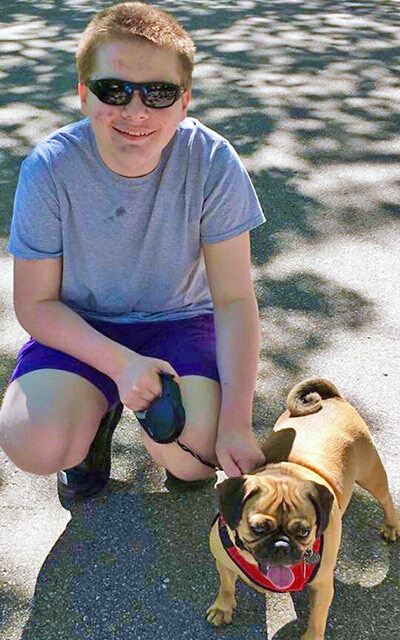 Blog :: Hunter S. is our March Star of the Month :: Read Naturally, Inc.
Congratulations to Hunter S. for being awarded the Read Naturally March Star of the Month Award. Hunter is a Sophomore student attending iForward, an online charter school with Grantsburg Wisconsin School District. He was nominated by his teacher Ms. Trumper for not only the progress he has made with his reading but also his newfound confidence as an independent learner. Ms. Trumper shared the following with us about Hunter's achievements. Expressive and articulate is how I would describe Hunter's reading in the Read Live program. I love listening to Hunter read and could sit and listen to him read all the live long day! Read Live has helped Hunter gain confidence, comprehension skills, and fluency. He has soared from a level 2.5 to a level 7 since he started using the Read Live program. Hunter is able to work independently in the program at iForward, our online school. When he first started Read Live, he needed assistance from his mom to get into the program and needed help using it; now he's an independent learner, with the exception of passing stories. Hunter feels successful in school; Read Live has been a life changer for him! Congratulations Hunter! What a great tribute written by his teacher Ms. Trumper, on behalf of this young man. Being a person who loves to read will help Hunter reach for the stars. Best wishes to the "Read Naturally Star Student of the Month".